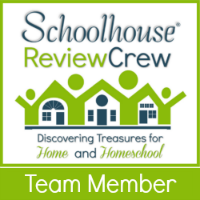 Over the years homeschooling, there has never been a more motivated person that I have crossed paths with than the parent of a child who was incredibly intelligent, but just did not seem to be able to learn. At least not learn in the traditional manner. These parents knew deep in their hearts that their children had complex things going on in their minds, but just could not seem to express them or access them through traditional learning methods. Our family has been one of those families making our contact with other families with similar struggles a very personal journey. I was thrilled when given the opportunity to read and review A Life in Balance from the experts at the Learning Breakthrough Program. The Learning Breakthrough Program is a multi-sensory approach to reaching the individual with special needs. The science and research behind this program was developed by Frank Belgau while working with students with special needs. A Life in Balance is the culmination of his work as chronicled by his son, Eric Belgau, as his father verbally shared this journey with him. The book is intended to be read by adults, both parents of children who are challenged as well as educators and therapist. It is a 216 page softbound book which retails for $16.94. Allow me to preface my thoughts with the fact that I am approaching this review as the homeschool mom of a child that has struggled in learning and also as a Doctor of Naturopathy. I have seen in both my personal journey with my son as well as in working with clients the benefits of a holistic approach to learning disabilities. The work of Frank Belgau is quite significant in not only the outcome of his work, but key observations along the way. It is tempting as a parent and educator to want to skip to the end of the book for the final “recipe for success” in helping your child to succeed. However, there is much to glean in the pages prior to this. Deep down inside most parents of children with special learning needs know that their children are capable of accomplishing much. The challenge is that there appears to be a short circuit or communication error, for lack of better terms, in being able to access all that is in the child’s mind. As parents, we know that there is a lot more going on in our children’s minds than they can adequately express or demonstrate in a traditional school environment. This core belief is the very reason that so many parents are choosing to homeschool their special learners. They are not ready to give up and there is honestly no one as committed to seeing a child succeed and achieve more than imagined than a dedicated parent. A second fundamental belief that is communicated through the work of Frank Belgau is that if we can assist these students in building the appropriate neural pathways many of the other learning challenges will correct themselves over time. Assisting a dyslexic student will never yield results in great strides by simply forcing the child to spend endless hours practicing reading. What is needed are for more refined and direct neural pathways to be developed that provide the communication roadways in the brain to interpret the information coming in, process it, and then be able to use expressive language skills to show comprehension. The same holds true for the student struggling with many other neurological disorders, such as ADHD, dysgraphia, dyscalcula, autism spectrum disorders, and more. In addition to these profound realizations and affirmations, Belgau presents the journey in developing a treatment program that focuses on brain training and integration to assist these learning challenged students in truly being all that they can be. 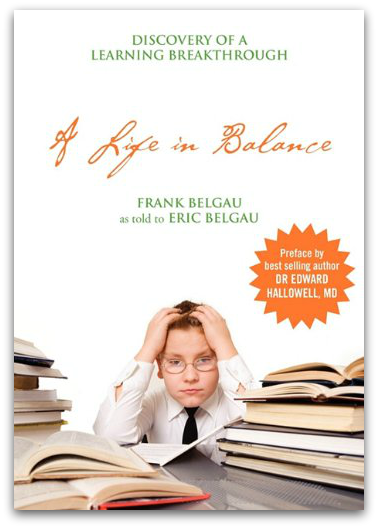 A Life in Balance is an easy to read resource that will affirm to the parents and educators of special learners that their students are not incapable of learning because of mental acuity, but must develop better neural pathways in order to fully access their potential. This book is a wonderful introduction into the world of brain training and integration therapies and their benefits. The reader may further implement the information in the book through purchasing the complete Learning Breakthrough Program or work with a professional in their area trained in these techniques. More than anything, A Life in Balance is a word of hope to parents that may feel alone in their belief that tomorrow can hold a more promising future for their children inspite of and through their learning challenges. I invite you to see what others thoughts are about A Life in Balance by clicking on the graphic below which will take you to many other reviews by the Review Crew. Next post: Summer Break – Should We or Shouldn’t We?? ?